You are here: Home / Conditions / Got Shin Splints? How To Treat Them. Got Shin Splints? How To Treat Them. Have you ever experienced sharp pain in the front of your lower leg? Did it occur when you increased your activity level suddenly? If this has happened, you may have medial tibial stress syndrome, or what is commonly known as shin splints. This condition occurs when the muscles and tendons in the lower leg are overworked, causing increased stress on the tibia or shin bone in the leg. This usually leads to pain, tenderness, and soreness along the inner part of the front of the lower leg. Acute cases can be treated successfully with rest and ice, but long-term cases or more severe cases may require more rigorous treatment, such as physical therapy. There are multiple ways that physical therapy can help improve the symptoms associated with medial tibial stress syndrome. 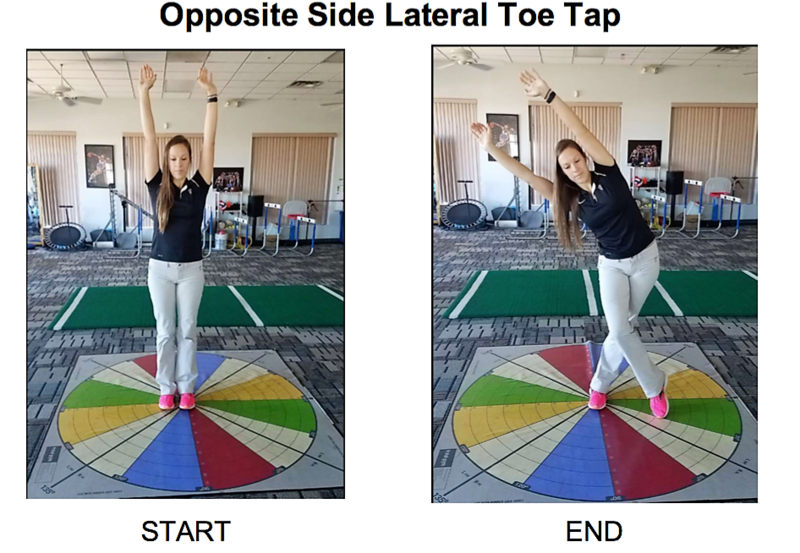 These include analyzing body mechanics and prescribing appropriate exercises, based on that analysis, to avoid over stressing the connective tissues in the leg. Examination of footwear and recommendation on best footwear for desired recreational activity. And structural evaluation of foot structure, to determine if benefit can be gained from use of a custom orthotic. If you feel you would benefit from any of these things, please contact our office to schedule a physical therapy evaluation. Below, are several stretches and exercises to help prevent shin splints and to help treat them if you are already experiencing symptoms. With your hands up on wall, bring one leg forward and rotate it from side to side, keeping your knee in line with your belly button. Rotate 20 times and then switch legs and repeat. Perform 2-3 sets on each leg. This will stretch the muscles in your calf. 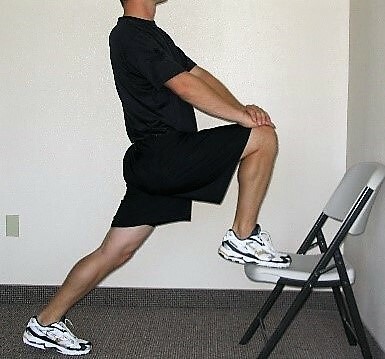 If you are not feeling a mild to moderate stretch move your stance leg back farther from the wall. Begin with one foot on edge of chair or bench. Then, drive hips forward, keeping weight in back leg, going forward until you feel a stretch in the front of your hip. Return to starting position and repeat. Perform 15-20 times, 23 sets on each leg. 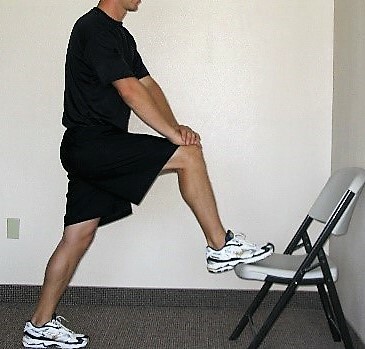 This will stretch the lower extremities and improve hip mobility. Remember, safety first. If your balance is compromised, stand at edge of counter or at wall for upper extremity support. Standing on one leg, reach small weight or ball down to floor and touch, then return to starting position, standing back up fully each time. Tap in multiple directions, for example left, center, and right. If you need to put your other foot on the ground for balance, that is fine. Safety first! Perform 5 touches in each direction, for a total of 15 touches. Repeat 2-3 times on each leg. This will help strengthen the muscles in your leg and increase your balance and stability as well. Standing on one leg, cross your other leg in front of body and tap toe gently on ground, sticking your hip out to the side as far as you can. Move your arms in opposite direction as you do so. Return to start position, perform 15-20 touches, repeat 2-3 times on each leg. This will help increase strength and stability of both your lower extremity and core. As you are comfortable and confident, add a small weight overhead to increase difficulty. Remember, safety first, if your balance is compromised, use upper extremity support, such as a counter-top or wall.